Though primarily focused on extremely large-scale murals focused on water rights and issues, once a year the Estria Foundation sponsors a graffiti battle right in the heart of Oakland’s inner city. From around the state, professional artists participate by invitation. 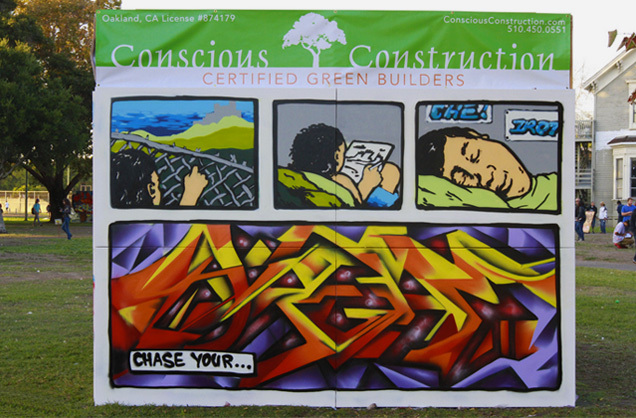 Conscious Construction prepared 12’x8′ art canvases for the competition, as well as coordinated the set-up and take down. After such a successful event, we are looking forward to participating in the years to come.